One of the great things about the Toronto International Film Festival is that it allows those of us who don’t go to Cannes a chance to catch up on its greatest hits. In fact, the three films that won the biggest prizes on the Croisette this year just had their Toronto unveilings: “Son of Saul,” “The Lobster” and “Dheepan.” There was some surprise from the international media when Jacques Audiard’s “Dheepan” took the Palme d’Or from “Saul” and “The Lobster,” leaving the former with the Grand Prix and the latter with the Jury Prize. Naturally, for us locked in North America, it creates an interesting tension. Were the three prizes allocated correctly? In my mind, one of these films earns that dreaded m-word, the one that critics have become prone to avoiding because so many people throw it around both willy and nilly, Masterpiece. And it’s not the one that won the Palme. Whatever one thinks about using that word for a film that hasn’t even come out yet much less stood the test of time (and, trust me, I don’t throw it around easily), I can’t remember a recent debut with the power of László Nemes’ “Son of Saul.” This harrowing Holocaust drama hit me with the force of a physical altercation. I felt it in my chest, like I had just been punched or fallen to the ground. It sounds like hyperbole, I know. But I had a primal reaction to this stunning piece of art, a movie that uses the formal language of film to dictate audience response. It is unlike anything you have seen before—a film that constantly uses the tools of the form to produce emotional impact and yet doesn’t allow that formal rigidity to defeat its human element. It’s unforgettable. Saul Ausländer (Géza Röhrig) is a Hungarian Jew working in Auschwitz-Birkenau near the end of World War II. He’s a member of the Sonderkommando, the men who were ordered to assist the Nazis in their final solution. Saul helps usher people into gas chambers, and cleans up the horrifying aftermath. As he’s cleaning out a chamber, he hears the muffled breathing of a young boy. He survived the gas. The boy is quickly killed by a Nazi doctor, but not before Saul becomes convinced he has to do something for this special child. He needs a proper burial. He cannot be routinely autopsied and cremated. Saul plans to take the body, find a rabbi, and bury him. Meanwhile, Saul’s compatriots are planning a revolution, sensing that the war is about to end and that they will soon be killed. All of this unfurls in a tightly limited perspective. Not only is the film in Academy ratio (4:3 Full Frame) but it focuses only on Saul’s face or that which he can see. It’s as if a camera is directly in front of Saul. It can choose to focus on his remarkably expressive face or the world around him, but no more. Consequently, an amazing amount of the drama in “Saul” is heard and not seen. There are blurry images in the background, and a near-constant audio-scape of horror—screaming, clanging, shouting. We are trapped with Saul visually, and that locking the viewer into place never provides the tension-lessening effect of filmmaking that we so often expect. There are no overhead shots, reminding us that this is “just a movie.” And the lack of coverage allows the human imagination to run wild, terrifying us even further. As you might imagine, the formal structure forces a lot on the shoulders of Rohrig, who is simply a revelation. His eyes are both mournful and driven, knowing that this final act of religious dedication is something that matters. Throughout all of this horror, it’s important. And the film takes on a similar resonance. We honor our dead and our ancestors by bearing witness to history. It is both the power of history and the remarkable impact of cinema in one complete package. Much will be written about “Son of Saul” on this site, and others. It’s an essential film. Which makes it all the more surprising that Jacques Audiard’s “Dheepan” took the Palme this year. The latest from the director of the vastly superior “A Prophet” raised a lot of eyebrows through a final act tonal shift that many people saw as surprising. I think Audiard lays the groundwork for where “Dheepan” ultimately goes, but I’m not convinced that means it works anyway. And I’m not sure the comparative aspects of “Dheepan,” in which it feels very much like Audiard and his writers are drawing too clear parallels between civil war in shattered counties with gang warfare in major cities, works at all. I am tempted to forgive “Dheepan” for its shortcomings simply because of its very likable performances, especially the lead turn by Jesuthasan Antonythasan, but the big issues here feel muddy and unfocused. Antonythasan plays the titular character, a Tamil Tiger soldier devastated by the civil war in Sri Lanka. His entire family has died. As the film opens, he is putting together a fake family. He has three passports—a father, mother and daughter. He finds a woman named Yalini (Kalieaswari Srinivasan) to pretend to be his wife and she finds a girl name Illayaal (Claudine Vinasithamby), who will be their “daughter.” They don’t know each other at all as they flee to Paris. In the hands of a lot of other filmmakers, “Dheepan” would be about the ties they form, the family these strangers become. 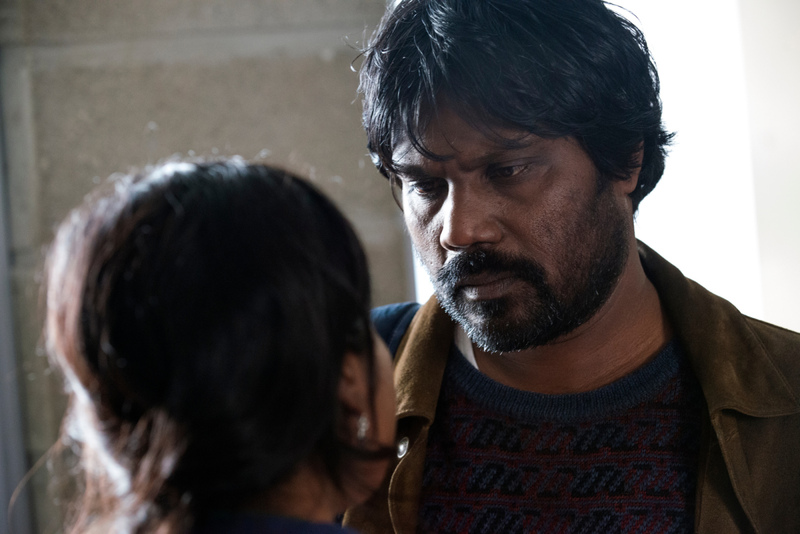 There are elements of that here, especially in a few tender moments between the adults, but then “Dheepan” takes a sharp turn as violence re-enters the lives of these characters, forcing Dheepan to essentially become a soldier yet again. There’s a sense of building tension in “Dheepan” that, in my mind, destroys the argument that the final act comes completely out of nowhere, but that doesn’t mean it’s satisfying. If anything, I hoped Audiard would ground the film better in its closing scenes, finding something more genuine in these characters. The actors are willing to go there, and it’s telling that the scenes of conversation between them linger much longer than the bloodshed. It’s a film that I wished focused on its people and the details of their existence more than the machinations of their new plight. 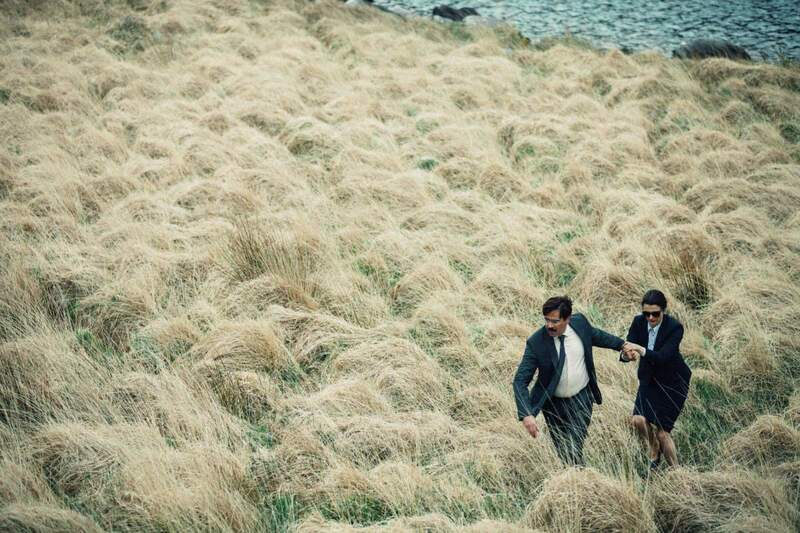 Speaking of machinations, that’s the key word behind Yorgos Lanthimos’ often-fascinating “The Lobster,” a good film that falls just short of greatness, mostly because it repeats itself too often to really hit home. Lanthimos (“Dogtooth”) is playing with the structures, often unspoken, of partnership and solitude. Why do we partner up? Why do we stay alone? Do we need identical partners? Are we better off by ourselves? These are big questions and this daring filmmaker approaches them in new ways. I just wish the film had one more level, another idea to unpack. After about 15 minutes, you’ve seen all the film really has to offer, and while it certainly unfolds entertainingly from that point (it’s VERY funny), I longed for something deeper. Maybe that’s purposeful. These characters are all longing for something too. David (Colin Farrell) has just been dumped by his wife. In this world, that means he has to go to a hotel, at which he will have 45 days to find another partner. If he does not, he will be turned into an animal. His brother, Max, was turned into a dog, which David now brings with him. David, in excellent deadpan delivery from Farrell, decides he’ll become a lobster if he fails to find a partner. They live a hundred years, and are fertile the entire time. David makes some friends (Ben Whishaw, John C. Reilly), and goes through the bizarre machinations and exhibitions of the hotel. He also submits to the rules, which include no masturbation. After one potential partnership goes horribly awry, David is forced to escape, joining the “loners” in the woods, who are actually hunted by hotel guests on a regular basis. There, he meets a woman (Rachel Weisz), and his learned definitions of love, communication and partnership change. Clearly, Lanthimos is playing with big themes here, and he’s doing so in a daring way. The problem is that a lot of “The Lobster” starts to feel repetitive. I think there’s a tighter, better, shorter version of this film that makes a greater impact, and I left “The Lobster” not sure what I was supposed to take away from it. Maybe nothing. Maybe everything. Maybe it won’t hit me for 45 days. I’ll get back to you.